Synopsis: Rich Mr. Dashwood dies, leaving his second wife and her three daughters poor by the rules of inheritance. The two eldest daughters are the titular opposites. Quotables: MRS. JENNINGS: Lovers’ quarrels are swift to heal. Let’s play “Spot the Harry Potter character”. I see Professor Trelawney, Professor Snape, Cornelius Fudge, Dolores Umbridge, Madam Pomfrey, and the Fat Lady. Imelda Staunton even does a tinny, tittering laugh akin to Umbridge! And then there’s Tom Wilkinson, Kate Winslet, Hugh Grant, and Hugh Laurie. Honestly, how have I gone two decades without watching this movie? 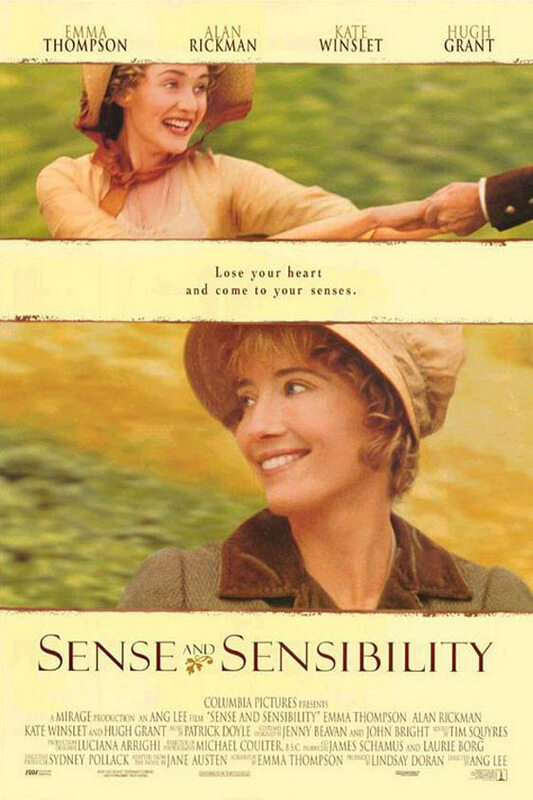 If ever I had the opportunity to choose a screenwriter to pen an adaptation of one of my novels, I would certainly choose Emma Thompson. She is as brilliant a writer as she is an actor. Everyone in this film is simply sublime. Everything about it is sublime. In fact, this should have been the film that won Best Picture, not that cheese schlock from Gibson, Braveheart.